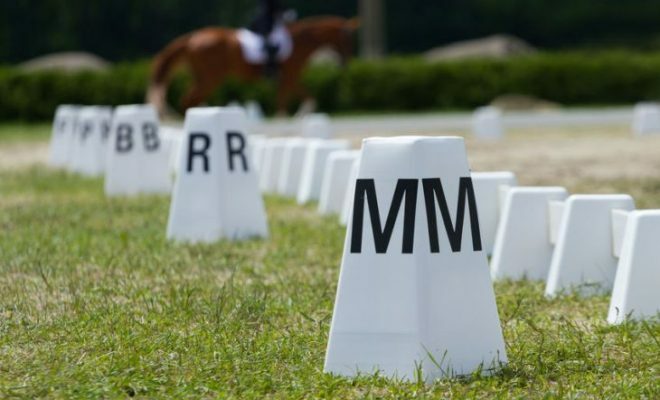 How many times have you had the remark, “Could have more bend.” on your dressage test sheet? Lack of supple bend is a common fault that judges will mark down. 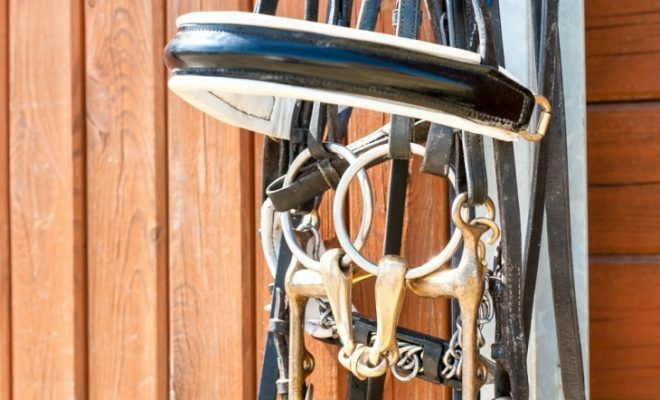 But how do you train your horse to bend, and what’s the difference between bend and flexion? What’s the difference between bend and flexion? Correct bend means that the horse is bent evenly through the neck and body around the circle, corner or turn he is negotiating. Flexion refers to the angle of the horse’s head from the poll. This means that you could ask your horse to move in a straight line, but with flexion to the right or left. If the horse is submissive to the contact, he will happily flex at the poll without resistance. 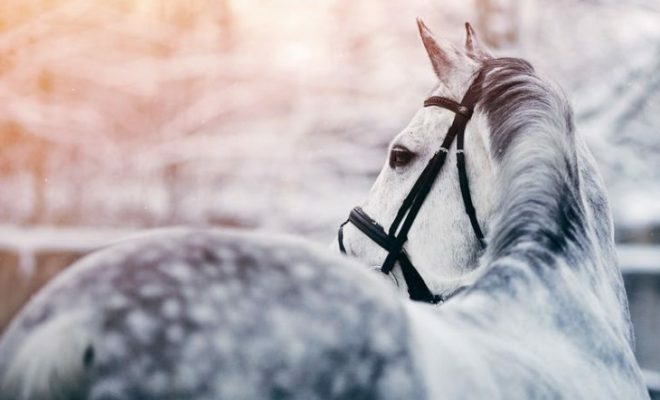 Firstly it must be established that the horse works into an even contact on both reins and the rider is able to distinguish between flexion and bend. Guide the horse with both reins. Keep your outside hand near the horse’s neck with a firm, elastic contact to prevent him from falling out through his shoulder. Open your inside hand towards the bend. Keep your contact soft and relaxed so that you’re not pulling the horse into the bend with your hand. 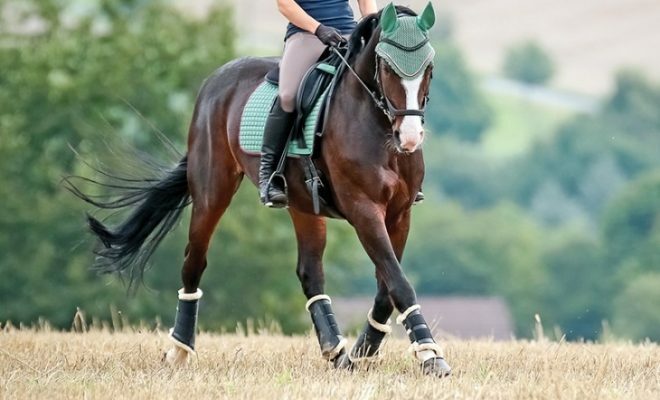 Use your inside leg on the girth to encourage the horse to bend around it, and keep your outside leg on as a passive aid to prevent the quarters from swinging out. When bending correctly, the horse should remain on one track as he negotiates circles, corner, and turns. He should bend uniformly through his body and neck in the direction of travel, and should not tip or tilt his head against the correct flexion. 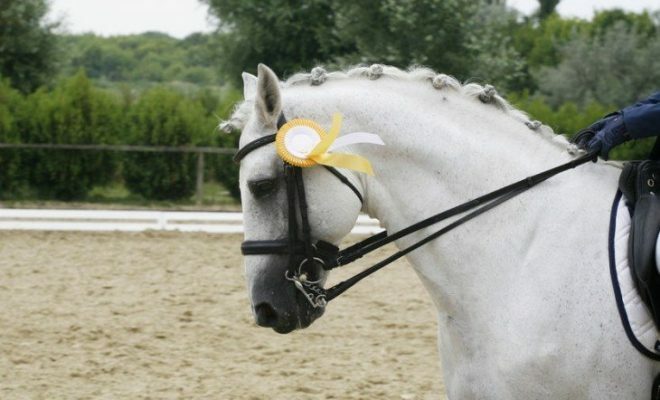 A supple horse that willingly bends around circles, through corners and when negotiating turns will gain good marks in a dressage test. Suppleness and acceptance of the bend is also very important if you want to progress to teaching your horse lateral work. 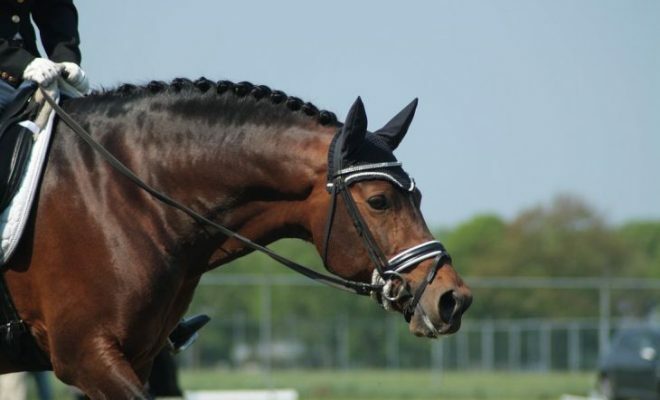 Begin with large circles and don’t ask for too much bend until your horse is more supple.